Anglin-Jarrett championed the work of the trade union movement and the Cuba Solidarity Campaign in getting the Miami Five on the political agenda in the United States and – as recent Wikileak revelations reveal – this pressure prompted former Prime Minister Gordon Brown to raise the issue with the U.S Secretary of State Hilary Clinton. In her speech supporting the motion, Anglin-Jarrett urged conference to “keep up the pressure on the US administration to stop this persecution, see that justice is done and to raise awareness about the case in this country”. 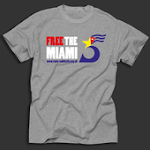 Conference called for a prompt retrial of the Five in any venue other than Miami; full visiting rights for all of the families; and committed to work with American unions to assert further pressure on the U.S. administration to end their imprisonment. UNISON Black Members Conference also pledged to visibly support the Cuba Solidarity Campaign’s annual vigil for the Miami Five outside the U.S. Embassy and encourage all branches and regions to affiliate to the Cuba Solidarity Campaign. 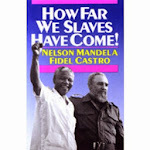 Delegates were also urged to send messages of solidarity to the Miami Five. Three other delegates spoke in favour of the motion and Rena Woods, Delegate Leader from the North West, praised the diverse ethnicity in Cuban society. Northamptonshire County Local Government branch has already committed to submit the same motion to UNISON National Delegate Conference in June 2011.